Dogmas, to the Coptic Orthodox Church, are not merely theological concepts concerning God, man, church, eternal life, heavenly creatures, demon etc…, to be discussed among clergymen, scholars and laymen, but are, in essence, daily experiences each member of the church has to live. In other words, dogmas representing our faith in God through various aspects have one message, i.e. our communion with God the Father in Jesus Christ, the incarnate Word of God, by His Holy Spirit. Thus we conceive of our redemption, and our membership of the church, a deep understanding of the Holy Bible, an acceptance of the Kingdom of God within our souls, a communion with the heavenly creatures and the experience of eternal life. The Church is not merely a school involved in researches and teaching dogmas, but an institution that worships God and serves mankind. It works for the transformation and the renewal of this world, and hopefully awaits the world to come. Truly, the Church would not be the church, as we know it without Christian dogmas. Dogmas interpret our whole philosophy of the Church through repeated practice of our faith through the holy tradition (the Holy Scriptures, worship, behavior and preaching). All these elements represent different aspects of the one inseparable church life. Dogmas in fact are mirrors of the Holy Scriptures. They explain the Holy Scriptures and attract men to enjoy its spirit. Dogmas correlate to our ascetic attitude. The early Alexandrian theologians and clergymen were true ascetics and as a result asceticism still strongly affects our theology. This is not by denying the needs of our bodies, as some scholars charge, but by insisting on the soteriological aspect: The early Coptic ascetics were involved in enjoying the redeeming deeds of the Holy Trinity, i.e. in enjoying the sanctification of the soul, mind, body, gifts, etc. through communion with the Father in His Son through the Holy Spirit. Dogmas are what is believed, taught, confessed and practiced. Dogmas are the interpretation of our experience of God, in the Crucified and Risen Lord Jesus Christ. This experience throughout the ages does not alter, for our Lord Jesus Christ remains the same yesterday, today and forever (Heb 13:18). The disciples and apostles (and bishops afterwards) did not sit around a table and agree to teach new dogmas, but rather they preached their Christian experience. As St. John says, “That which we have seen and heard declare we unto you” (1 John 1:3). Thus all Christian dogmas resulted from Church’s experience of the Crucified and Risen Christ, “Truth” and “Love” at the same time. We receive these dogmas as the unchangeable truth that we must keep steadfast with love. The Alexandrian Popes (bishops), as theologians and pastors, looked to dogmas as an expression of evangelic truth integrated with love. They were very zealous in defending the Orthodox faith and dogmas against any heresy, not only in Egypt but also in all Christendom, offering their lives as sacrifices on behalf of the Church. They were very firm and strict concerning the faith they had once received (2 Tim 12:14). 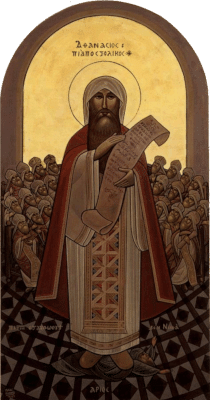 The Coptic Orthodox Church is well known as a conservative Church, especially in dogmas and doctrines. At the same time, it progresses not by embracing new doctrines or new “articles of faith” but by explaining the same faith “once given to the saints” in a contemporary language.